The Province of Ontario sees potential partnership opportunities to explore resulting from New York’s decision to allow testing of autonomous vehicles on public roads. The state is accepting applications from companies interested in testing the vehicles through a year-long pilot program, announced May 10. 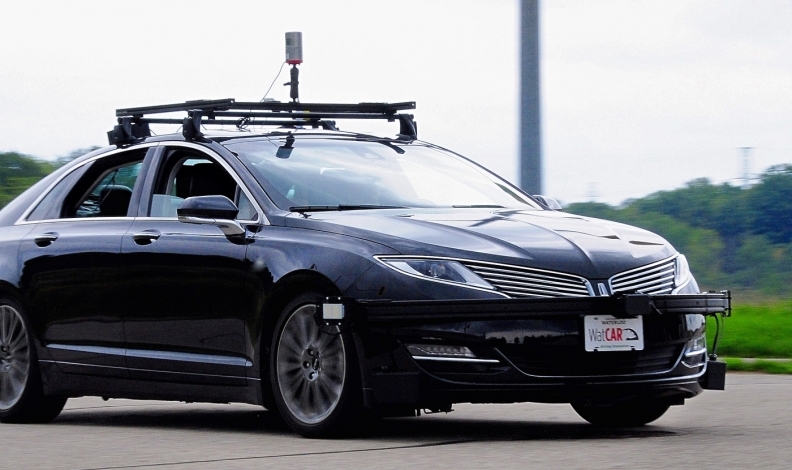 The decision comes 19 months after Ontario launched the Automated Vehicle Program that allows companies and researchers to test autonomous technology in real-world situations on public roads. A government-issued permit is required. To date the province has issued permits to the University of Waterloo, Blackberry QNX and the Erwin Hymer Group, all approved in November. Continental Automotive Systems was issued a permit March 8. “Ontario will consider ways to collaborate with the state to further progress in any areas of mutual interest, including data and information sharing, as well as any potential cross-border movement,” Ontario Ministry of Transportation (MOT) spokesman Bob Nicholson said in an email to Automotive News Canada. New York's program requires manufacturers to adhere to oversight measures and restrictions that could raise objections from an industry that prefers private, real-world testing. Companies in New York must have a US$5 million insurance policy, submit reports to the state, be overseen by the state police and pay the state police for supervising each test. Testing also cannot take place in construction or school zones, which take up huge swaths of land in New York City, and must adhere to a predesignated route shared in advance with the state. Ontario’s 10-year pilot differs from New York’s one-year pilot. Similarities include that drivers must remain seated in test vehicles always, and insurance requirements of $5 million is the same in both jurisdictions. New York’s AV framework proposes additional requirements, however, including police oversight on test drives. New York State Police are required to monitor all test-drives and are to be financially compensated for the time involved monitoring them. Ontario does not require police oversight for on-road testing and does not charge applicants a fee for overseeing the testing. In New York, applicants must provide the New York Commissioner of Motor Vehicles with the date and time of when testing will take place; origins and destinations, sequence of roads that will be travelled and total distance. Ontario doesn’t require that any of those things be reported. "We are taking a careful yet balanced approach to incorporating autonomous vehicles on our roads to reduce dangerous driving habits, decrease the number of accidents and save lives on New York roadways," Gov. Andrew Cuomo said in a statement. Nicholson said Ontario welcomes another jurisdiction interested in “advancing knowledge associated with AV technology. “Testing is important to help ensure safe deployment and operation of these vehicles, and will help inform policy and regulatory decisions in this regard,” he said.